This condo is one of the Penthouse Suites at the Royal Kuhio. It is very large with a full modern kitchen with a stove with an oven, large fridge with a freezer, a dishwasher and all utensils and pots and pans so you can prepare meals at the condo an save money. The condo has two queen beds in the master bedroom, two full beds in the second bedroom and a sofa-sleeper. There are two full bathrooms with all linens furnished. You will have a free parking stall located on the first floor of the parking ramp in the building. Parking usually costs $25 per night so you will be able to have a place to park your car free and go in and out anytime you desire. 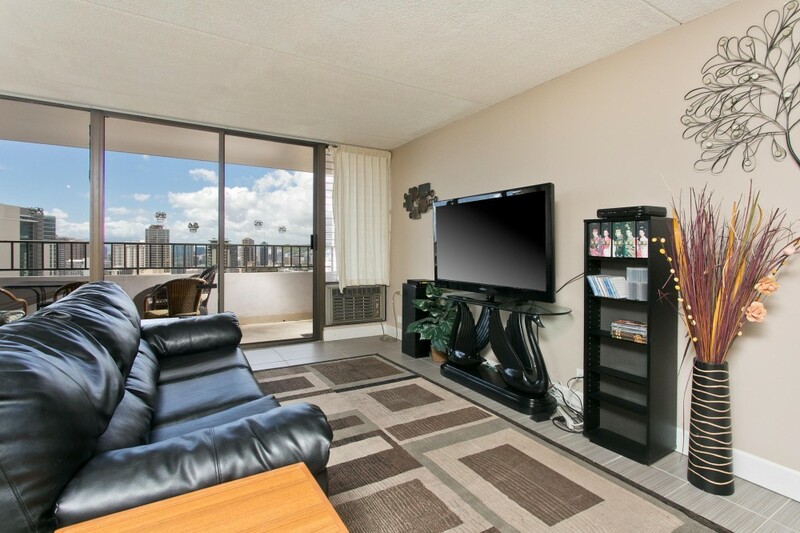 The condo has two huge lanais with furniture to relax and enjoy the great views. You will have a fantastic ocean view from one lanai and a Manoa valley view from the other lanai. You will see beautiful rainbows in the valley. You can watch the fireworks show every Friday night from the other lanai. The night views and the sunsets are really colorful and unbelievable. You will remember the views forever. You will be just two blocks to the most famous beaches and world class shopping and restaurants. You can walk to the Honolulu Zoo, the Waikiki Aquarium, Duke's Statue and Kuhio Beach, and visit all the famous resorts and sites in Waikiki. The Royal Kuhio Bldg. has a huge recreation deck with a large ‘L’ shape swimming pool, Sauna, BBQ area, tennis courts, exercise room, playground, Gym with Bathrooms, Ping pong tables and two pool tables coin operated laundry and lounging area.